While browsing the selection at my favorite neighborhood wine shop, In Fine Spirits, I asked the proprietor my favorite question: “So what do you have that’s new and unusual?” Noticing the bottle of Serbian Prokupac already in my hand, she pointed out a Croatian Syrah, which at $21 was more than I had planned on spending. But how could I resist? A famous and extremely high-quality Rhône variety expressed through the terroir of coastal Croatia was simply too tempting. I paid the $21, and I am very glad I did. Like all wine-growing countries ruled by communists, Croatia’s vintners were essentially required to focus on quantity rather than quality. Many fascinating indigenous varieties were therefore cast aside in favor of a handful of higher-yielding grapes which produced drinkable but uninteresting wines. Many vineyards in Croatia also suffered during the breakup of Yugoslavia, damaged by shelling, trampling or even being uprooted and replaced by landmines. 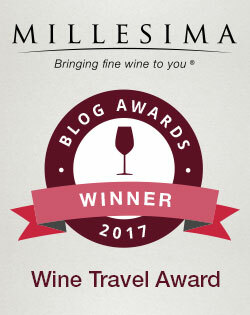 In more recent years, as the Croatian economy incorporated more capitalist principles and peace returned to the region, foresighted winemakers began exploring Croatia’s viticultural roots, restoring nearly lost local grape varieties and focusing again on quality instead of simply quantity. Anton and Toni Katunar are two of those foresighted winemakers. The Katunar family has made wine for centuries, according to its website (translated from the Croatian by Google Translate), albeit as part of a cooperative during the communist years, “the only possible way of doing business.” In the 1990s, the Katunar winery worked hard to modernize and improve, investing in new Slavonian oak casks for aging and changing its sparkling wine production from tank fermentation to bottle fermentation. Because the Katunar vineyards already had an enviable location on the south end of the island of Krk, just southeast of the Istrian peninsula, these investments have resulted in some very high-quality wines. 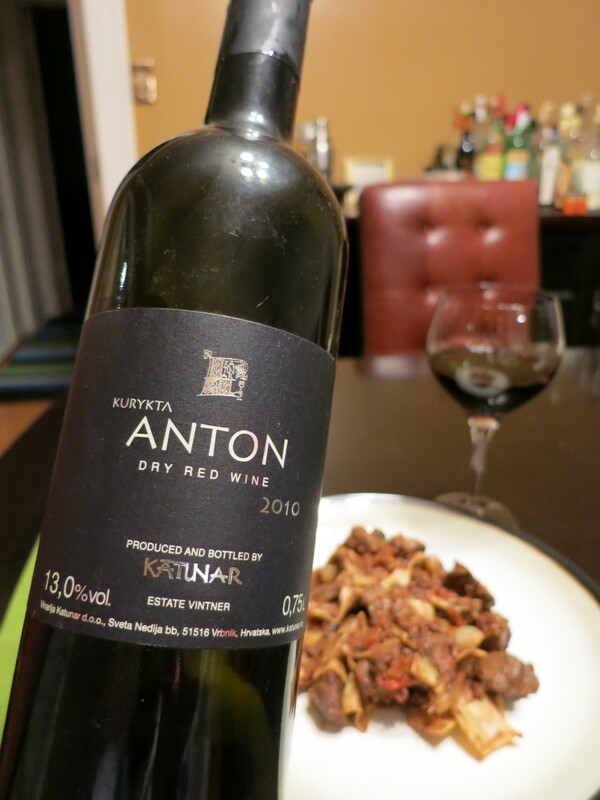 Certainly the 2010 Katunar “Kurykta Anton” was thoroughly delicious. Referred to as Kurykta Nigra on the Katunar website, this deep magenta-hued wine had an instantly appealing aroma of earth, iron and red fruit. It felt very well-balanced, with a rich texture and luscious red-fruit flavors leavened by deep undertones of earth and a bright zing of acids. I also loved the overtones of violets and the tightly focused metallic finish. The rustic acids helped the wine pair beautifully with some traditional boeuf bourguignon, standing up to the hearty flavors in the dish and clearing the palate for the next bite. My only problem with this wine was its confusing back label. On the one hand, it clearly states that the wine is 100% Syrah. 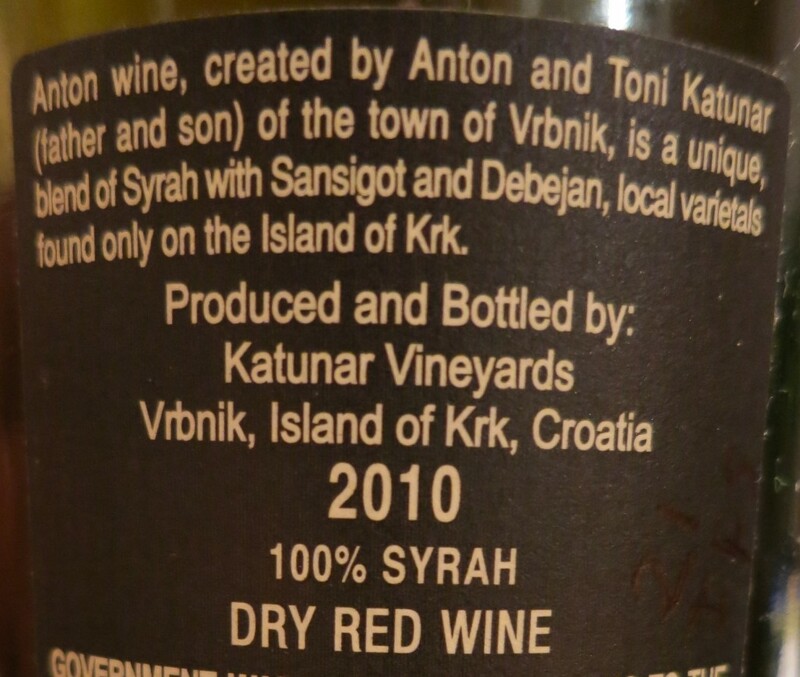 But above that figure, the description notes that the Kurykta Anton blends “Syrah with Sansigot and Debejan, local varietals found only on the island of Krk.” The idea of trying a wine made in part from Sansigot and Debejan excites the Odd Bacchus in me to no end, but it’s as yet unclear to me if I’ve actually done so. In any case, 100% Syrah or not, if you like hearty Côtes du Rhône wines, you will most definitely like Katunar Kurykta Anton. Full-bodied reds like this are perfect for winter dinners, and the acids in this wine ensure that it will pair with a range of robust stews, roasts and pastas. 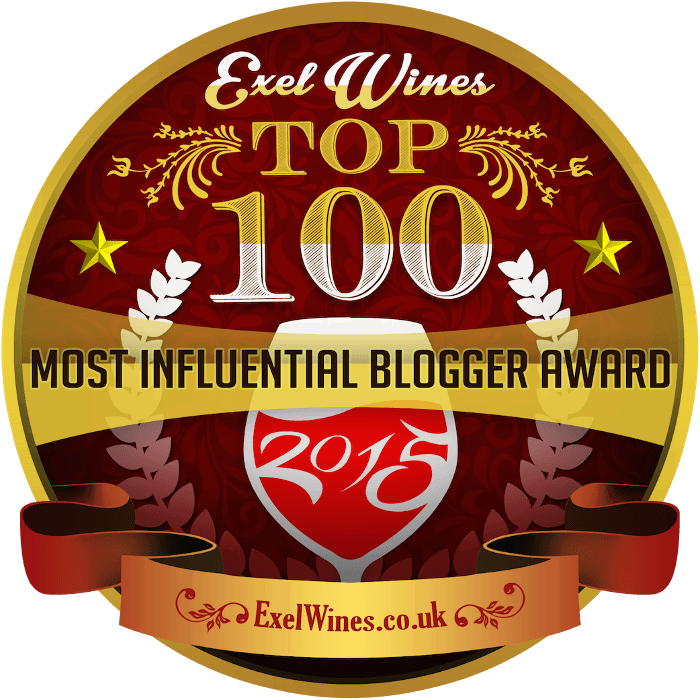 It’s a bit of a splurge at $21 a bottle, but your investment will be amply rewarded.